Dr. Patel was born and raised in Chicago. He completed both his undergraduate studies and received his DMD Degree from the University of Illinois at Chicago. He is currently a member of the American Dental Association, Illinois State Dental Society, and Chicago Dental Society. Dr. Patel believes that the most important work he can do with patients is not the dental procedures themselves, but rather educating and communicating. His commitment to education and the needs of his patients are the hallmark of his dental practice. 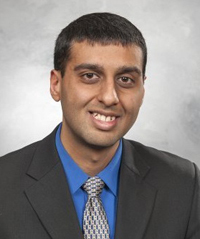 In his spare time, Dr. Patel enjoys jogging, playing sports, and sampling ethnic cuisines with friends.